Jet Blue Receives What American, Delta and United Could Not (Yet) Obtain.... A City Ticket Office — U.S. - Cuba Trade and Economic Council, Inc.
September 02, 2017 / U.S.-Cuba Trade and Economic Council, Inc.
American Airlines and Delta Air Lines have ticket offices in outlying and upscale Miramar District of the city of Havana, but not in the downtown area. United Airlines has an office (within the ticket office of Air Canada, a Star Alliance Partner Airline) in Vedado District, nearer to the central Havana. September 01, 2017 NEW YORK--(BUSINESS WIRE)--JetBlue (NASDAQ:JBLU), the first U.S. airline to bring affordable and convenient commercial air travel to Cuba after more than 50 years, today announced the long-anticipated opening of its City Ticket Office and Airport Ticket Office in Havana. 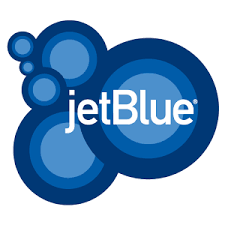 Both locations offer a new option for Cubans to book travel on JetBlue, with the added benefit of in-person interactions which will provide the personal, helpful and simple customer experience the airline is known for. JetBlue CEO Robin Hayes, various Cuban officials, airport leadership and JetBlue crewmembers will take part in a ribbon cutting ceremony at the City Ticket Office today to celebrate the opening and will welcome customers at the new location. The opening of the ticket offices come the same week JetBlue celebrates the one-year anniversary of its historic first commercial flight to Cuba on August 31, 2016. In this first year of commercial service, JetBlue has carried more than 390,000 customers between the U.S. and Cuba and operated nearly 2,000 flights between the two nations. The City Ticket Office is centrally and conveniently located in Havana’s Vedado neighborhood. The new JetBlue space is in the same building as several travel agencies. The area is well-known and easy to reach for JetBlue customers. The accompanying Airport Ticket Office is located across from JetBlue’s check-in counters at Terminal 3 in Havana’s José Martí International Airport (HAV). Both locations welcome customers wishing to book travel with JetBlue and offer the lowest available fare. Customers may also make changes to existing reservations, select seats and select ancillary services. Flights between the U.S. and Havana feature the most legroom in coach (a) and complimentary and unlimited name-brand snacks and soft drinks. Select flights also feature free Fly-Fi, the fastest broadband internet in the sky (b); free, live DIRECTV® programming and 100 channels of SiriusXM® radio in every seatback. JetBlue is proud to offer customer-friendly baggage allowances for travelers flying to or from Cuba, with the ability to check up to a total of three bags or boxes, each up to 99 lbs. and up to 80 linear inches (length + width +height) (c). Please see JetBlue’s Checked Baggage page for more information. JetBlue’s commercial service launch followed nearly five years of successful charter service operating multiple routes between Cuban markets and U.S. cities. In that time, JetBlue built strong relationships with airport authorities and worked closely together to make the successful launch of commercial service possible. All U.S. customers traveling to Cuba must be authorized to do so under the U.S. government’s Cuban Assets Control Regulations and they must certify that they qualify for one of the twelve approved travel categories outlined by the U.S. Department of Treasury. All travelers to Cuba must make their own determinations with respect to the appropriate travel category, as well as the type of visa required by Cuba for their purpose of travel.